Dragons produced a controlled and tactically superb performance in wet and windy weather as they secured a deserved Guinness PRO14 victory over Zebre at Rodney Parade. Fly half Arwel Robson and wing Dafydd Howells scored first half tries, with Zebre hitting back through wing Mattia Bellini, as the home side took control in miserable conditions. And in relentless second half rain, full back Jordan Williams scored the only points with a long-range penalty to secure successive home league wins. Head Coach Bernard Jackman made four changes for the clash with fly half Robson one of those to get the nod. The young No.10 was straight into his stride as he slotted an early penalty, after Zebre were caught offside, as the Dragons started strongly with big carries from Lloyd Fairbrother and the all-action Ollie Griffiths. 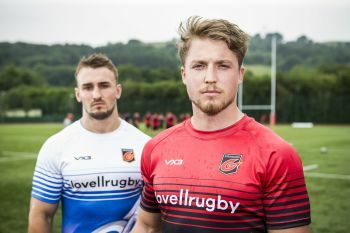 Scrum half Rhodri Williams was looking to manage the conditions with clever kicks in behind, while opposite number Carlo Canna tested Jordan Williams with a low grubber along the greasy turf. Elliot Dee smashed into contact with a thumping run before a brilliant pass by Griffiths spotted a deep run and opening for Robson who pinned his ears back and made the line for the opening try of the game. Zebre hit back with Canna’s chip ahead taking a nasty kick up off the turf and wing Mattia Bellini took the opportunity as he juggled the ball before crashing over to cut the lead. Robson saw a penalty sail wide right before Williams again forced the Italians back with a high kick but, after wrestling back possession, it was spilled forward in contact. Griffiths brilliantly teamed up with Aaron Wainwright to rip the ball clear in the tackle before Howells looked to use his raw pace down the right wing before Zebre countered. Dragons, though, were winning the territorial battle and forced another penalty as Zebre entered at the side of a ruck, with Robson this time opting to kick to the corner. Patience was then rewarded as the home forwards inched towards the line and dragged defenders in before Williams threw a perfect long pass out to Howells to slide over for a 13-5 lead at the break. Tempers flared early in the second half and, when order was restored, Jordan Williams took over kicking duties and duly slotted the resulting long-range penalty. Dragons started to empty the bench just before the hour in energy sapping conditions as the rain continued to hammer down. But, after Rosser had a try ruled out for a knock-on earlier in the play, the home side were reduced to 14 men when replacement Brandon Nansen was yellow carded for an off the ball clash with Canna. Dragons dup deep in the ten-minute period and well marshalled defence saw them win several penalties to deny Zebre ball and any attacking opportunities. When Nansen did return he bulldozed past two men to a huge ovation before replacement Josh Lewis kicked in behind to force Zebre to once again track back in the relentless rain. A breathless final few minutes saw Howells inches from collecting a chipped kick over the top from Knoyle as Dragons pushed for a third try. Dragons return to action at Rodney Parade against Cardiff Blues on Saturday 6 October, 5.15pm. Early bird tickets are available until midnight Friday. CLICK HERE to secure your tickets for the game.